Located on the Southeast side of Columbus only 20 minutes from downtown and 15 minutes from the Columbus International airport. 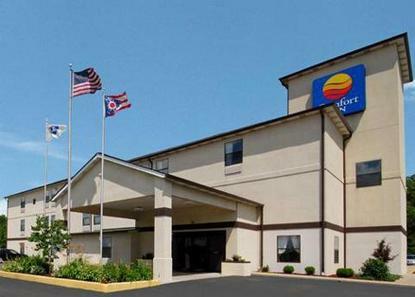 This hotel offers a complimentary Comfort Sunshine deluxe continental breakfast, indoor pool, meeting space for up to 80 people, guest computer with internet, laundry facilities and a fitness center. All guest rooms feature a refrigerator, microwave, coffee maker, iron and board and a hair dryer. Pet Accommodation: 20.00/night per pet. Pet size limit: 40 pounds. Pets must not be left unattended.